"In Sin City there are no secrets, only hidden answers. 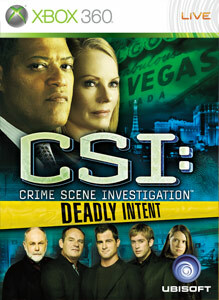 Join the new Vegas CSI team and explore brand-new cases written by CSI writers. Partner with the new cast of CSI Season 9 and explore crime scenes, examine victims' bodies, and follow the surprising twists and turns of the story. Unveil hidden evidence, and search for valuable clues on the crime scene. Interview a variety of witnesses and suspects by asking key questions and using evidence to uncover the truth. Analyze evidence with an assortment of new technology, including DNA and microscope analysis. Play the demo now!"